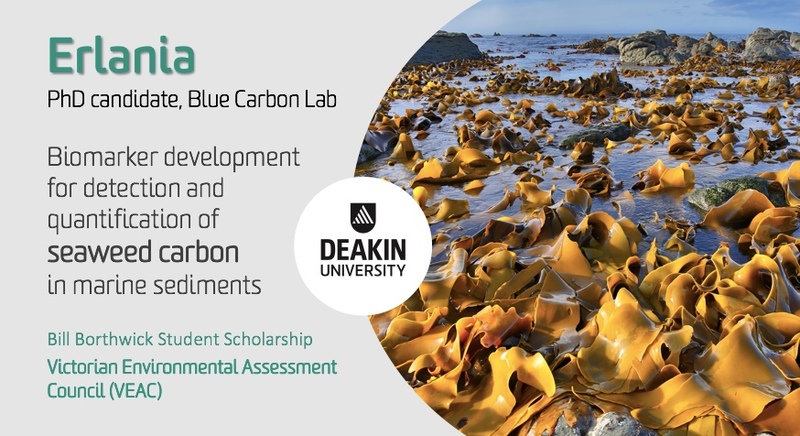 The Blue Carbon Lab celebrates our PhD candidates Sarah Treby and Erlania have scored research scholarships to advance Blue Carbon research in Victoria! 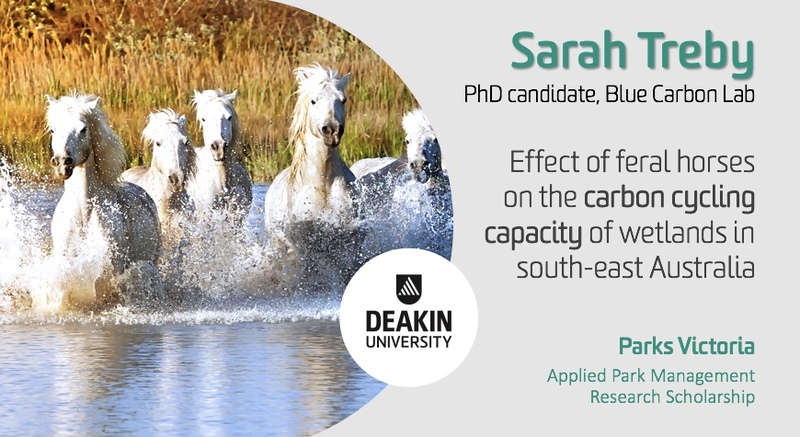 Sarah will quantify the effect of feral horses on the carbon cycling capacity of wetlands in south-eastern Australia. By measuring greenhouse gas (GHG) emissions, soil carbon content, and soil moisture and temperature, we aim to compare wetlands with and without feral horses to quantify any changes in carbon cycling that can be attributed to the management of pest populations. Sarah received the Applied Park Management Research Scholarship from Parks Victoria. Ellyn (Erlania) will develop reliable tools (biomarkers) including environmental-DNA (eDNA) and stable isotopes of fatty acid and amino acid) to clarify the contributions of seaweed C to Blue Carbon sinks. The expected result is that the biomarkers developed can be used to trace seaweed C stored in marine sediments and distinguish them from other plants C contributor. Combinations of those biomarkers can likely be used to quantify the seaweed C stored in the environment. Ellyn was awarded the Bill Borthwick scholarship by the Victorian Environmental Assessment Council (VEAC). Congratulations to these amazing WomenInSTEM! !